This week in nature has brought us hurricanes, wildfires and earthquakes. While there are many organizations that work in disaster zones, the one I'm focusing on for today's Feel Good Friday is United Way. In response to recent events, they've created a Harvey Recovery Fund to support communities affected by Hurricane Harvey. "100% of individual donations to this fund will be distributed to local United Ways in the affected areas." If you've been affected, call 2-1-1 to get connected to resources for health and human services 24/7. Now, back to the beginning. In 1887 a Denver woman, a priest, two ministers and a rabbi got together - not for drinks at a bar - to create United Way. As explained in the history section of their website the purpose of United Way was "to collect the funds for local charities, to coordinate relief services, to counsel and refer clients to cooperating agencies and to make emergency assistance grants for cases that could not be referred." That year they collected $21,700. In 2016 public support was over 90 million dollars! 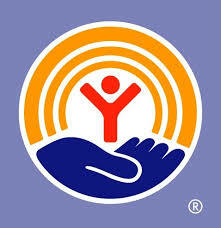 United Way is the largest privately-funded nonprofit in the world. There are 1800 United Ways in 40 countries and territories, 2.9 million volunteers, 9.6 million donors and 61 million people served annually. If your short on time, this intro video gives a brief overview of the work they do. Their mission is focused on three areas: "United Way fights for the health, education and financial stability of every person in every community." For details on the various programs, I encourage you to browse the sections "Our Focus" and "Our Work". One educational initiative is Born Learning, which provides parents and other caregivers with tools and information to understand childhood development as well as advocate for policy change. Income related programs include career training, job search assistance and credit counseling, to name a few. Their health initiatives include not only providing people access to medical care and nutritious food, but also working with local schools, governments and community-based non profits to provide parks, bike paths and playgrounds. If you want a reason to feel good Saturday through Thursday, you can read success stories here that include connecting 26,000 youth in San Francisco to jobs and providing Hepatitis B vaccinations for 9,000 people in Mumbai, India. You can also check out the United Way docu-series, The Hero Effect, for uplifting stories of individuals making a positive difference in their communities. Support this organization by joining a group in your area, volunteering your time or making a donation. United Way is the first Feel Good Friday organization I've found that will let you donate Bitcoin! You can also stay current by liking their Facebook page, following them on Twitter @UnitedWay and connecting with your local chapter.